Travel has always been one of Louis Vuitton’s inseparable design themes. 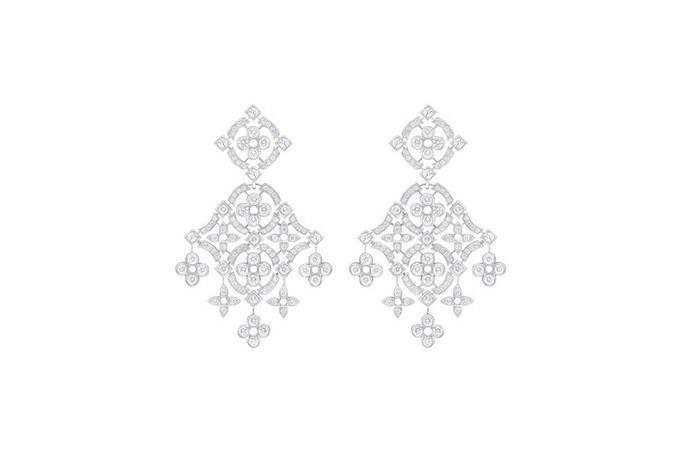 In the brand’s fine jewelry, the Dentelle de Monogram series is able to travel between retro trends and futurism, and experience the multifaceted nature of the classic Monogram pattern of Louis Vuitton(LV). 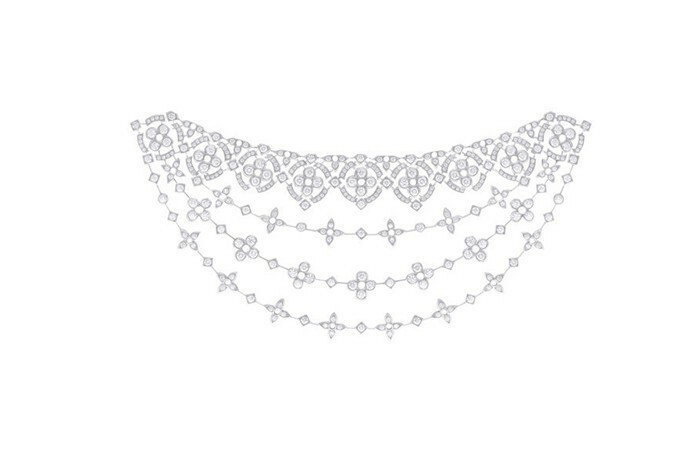 The necklace works of Louis Vuitton Dentelle de Monogram collection reproduce the delicate and elegant style of the Victorian era for us. The Peter Pan small round neck made of Monogram lace pattern is cleverly woven with various ancient rose cuts and bright cut diamonds, and the unique gold wire link is cleverly hidden. It is almost invisible to the naked eye. In addition to the gorgeous necklace, Louis Vuitton also launched a pendant necklace and earrings that are also suitable for everyday wear. 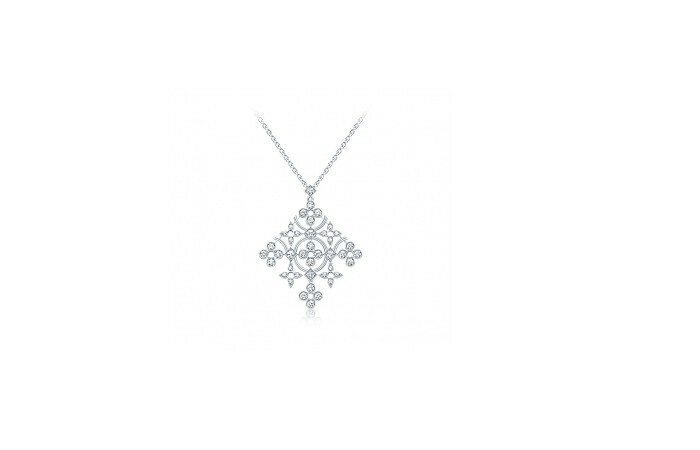 The diamond pendant consisting of Monogram and four-pointed stars is made of high-quality diamonds. Carrying out the decoration, the Louis Vuitton as always, the spirit of expression, and this also give these two iconic elements more diverse expression. 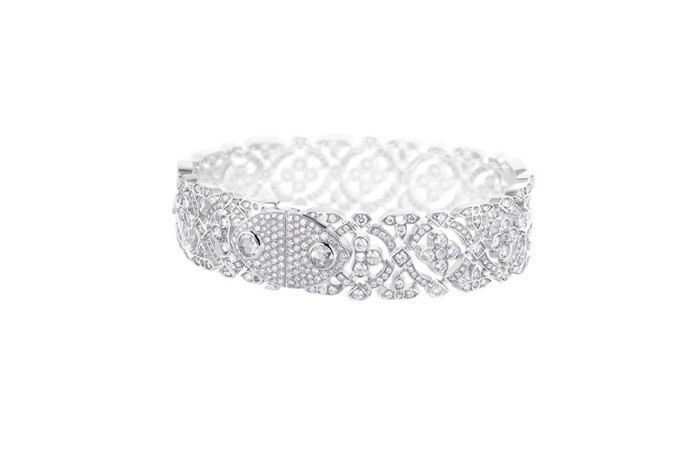 It is worth mentioning that while the Dentelle de Monogram collection retains the original Victorian lace-inspired design, it also adds a number of new rings, among which the ring above exudes an infinite feminine charm in a unique shape. 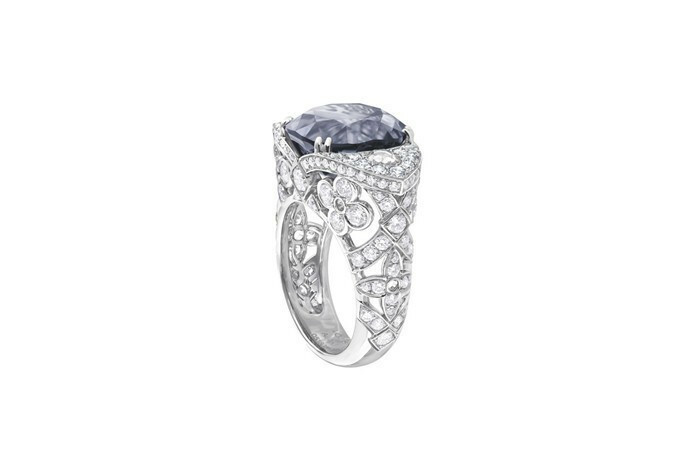 From the top, the diamond and the purple-grey main stone form a fusiform shape. In addition to the small diamonds on both ends of the main stone, they are also decorated with two large carat round brilliant cut diamonds. 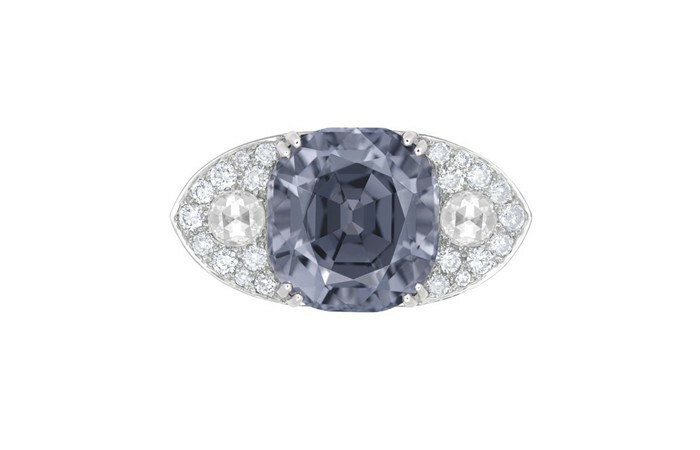 The ring is made of Monogram four-petal and four-pointed stars to create a hollow texture, interlaced with diamond-encrusted lines, depicting the Victorian elegance and blending the vintage aesthetic into this modern design. In this time-space tour of Louis Vuitton, the Dentelle de Monogram series re-opens the veil of ancient jewelry, presenting contemporary aesthetics and feminine beauty. 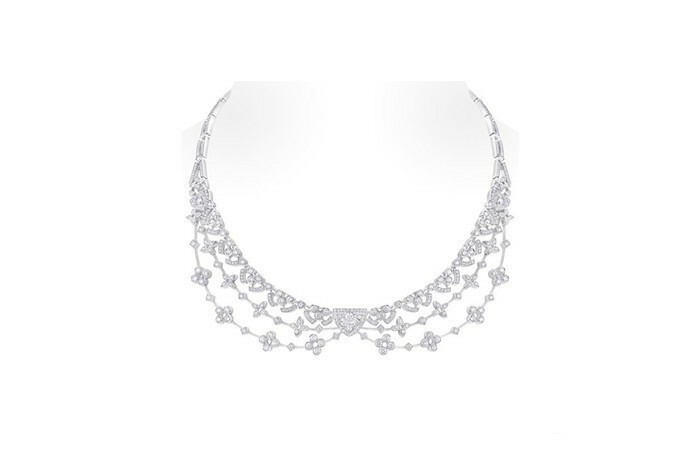 Louis Vuitton Dentelle de Monogram collection jewelry hides a multifaceted self-style, how can people not fall in love with such a high-end art-work.